A Matter of Temperance is set in the late 1800's, where a fateful comet has just passed Earth, leaving people with weird talents and powers. Ichabod Temperance is young inventor from America, who has invented a pair of goggles called the "Green Beauties." He travels to England, to deliver his product to a famous explorer. Meanwhile, Miss Persephone Plumtartt has gained special powers, while the comet passed the Earth- during an accident in her father's factory. Persephone Plumtartt can't understand these sudden powers she has gained, what will she do with them? In a rush of fate, one night, Ichabod sees Persephone running from an invisible creature, and manages to save her. The two protagonists in the novel have to save the world from evil- while trying to stay out of danger themselves! They have to fight off demonic monsters and get to the root of all evil.. This book didn't lack imagination- it is well thought out and very punchy. I really loved how there is two points of view, making it very interesting to see two different opinions of the same events. The chapters are written very well, I liked how some of them were short- making you ferociously turn the pages to see what happened next. 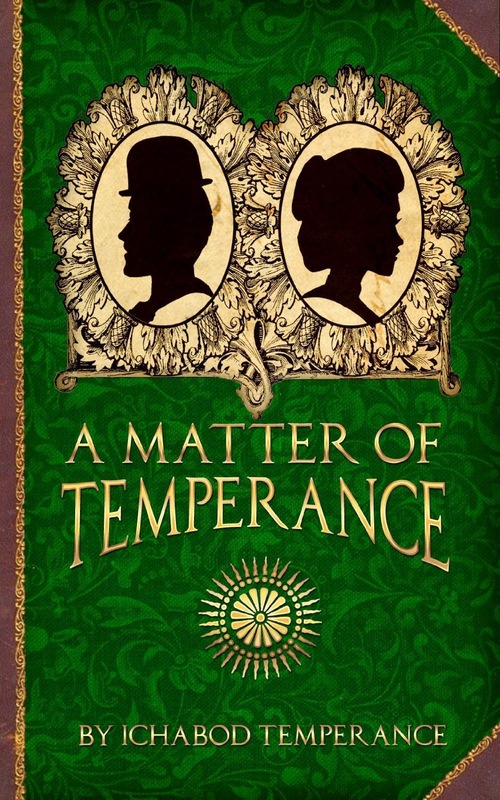 A Matter Of Temperance is a light hearted novel, while you read about Ichabod and Persephone saving the world, you can clearly see the chemistry between them, and how they are both falling for each other.. Ichabod always seemed to be there at the right time; very happy to protect Persephone from any wicked. However, some of the writing was very wordy, and it did become hard to follow the plot, and some of the inventions were very complicated! I give 3.5/5 hoots, as it isn't something I would normally pick up- I'm not the biggest fan of steampunk. But if you are a fan of steampunk, this is a good read! Thank you for reading 'Matter', Georgia May! Thank for for leaving a lovely comment, Eve!